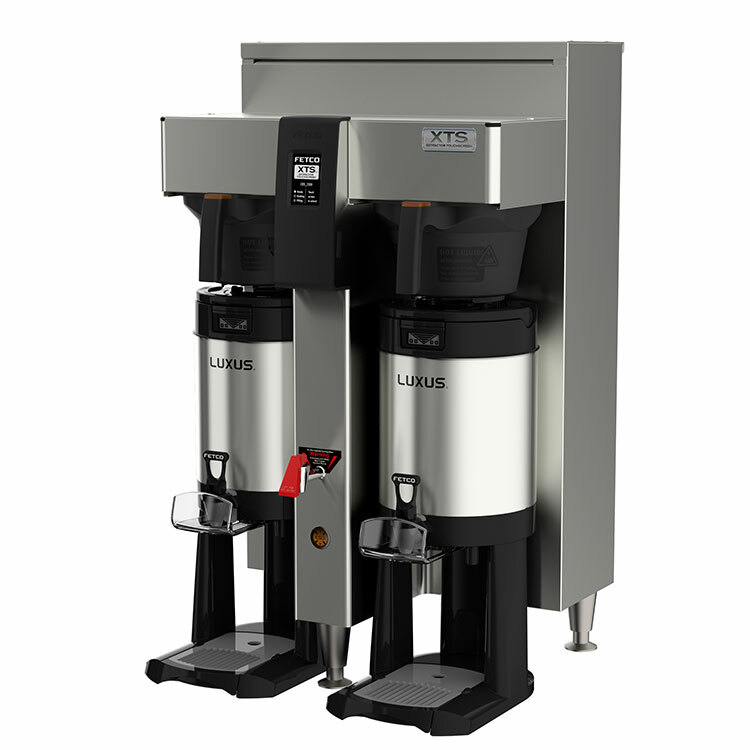 The Dual Station Fetco 2152 XTS Touchscreen Series Coffee Brewer provides flexibility for large volume venues such as Cafeterias, restaurants and banqueting halls. It is a fully featured volume bulk brewer. Built for flexibility and portability, thermal lined servers and dispensers quickly turn virtually any remote location into a hot and fresh beverage service station.